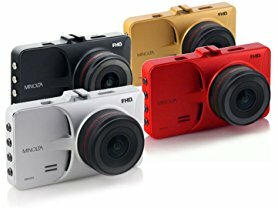 Right now these Minolta Full HD 1080p Wide Angle Car Dashboard Camera with G-Sensor, WDR, Loop Recording &amp; 3" LCD for $54.99 (Retail $99.99)! Remember all of your road-trips with the Mncd53. Features a high resolution 140 degrees lens, wide Dynamic range, 1080P video, and a 12MP photo resolution for perfectly clear footage. Review your trips on the 3.0" LCD. Emergency footage automatically begins recording thanks to the Built-in G-Sensor.